Get your Lickspittles tickets here! Folks…this discounted tickets are flying, so get them while they last. I don’t think we’ll have any left by end of day. You can still get them here, using code BOOM2015. Performances begin May 1st at Teatro Circulo, 64 E 4th Street, NYC. We’ll see you there! Here they are…Your 2015 LICKSPITTLES, BUTTONHOLERS AND DAMNED PERNICIOUS GO-BETWEENS! 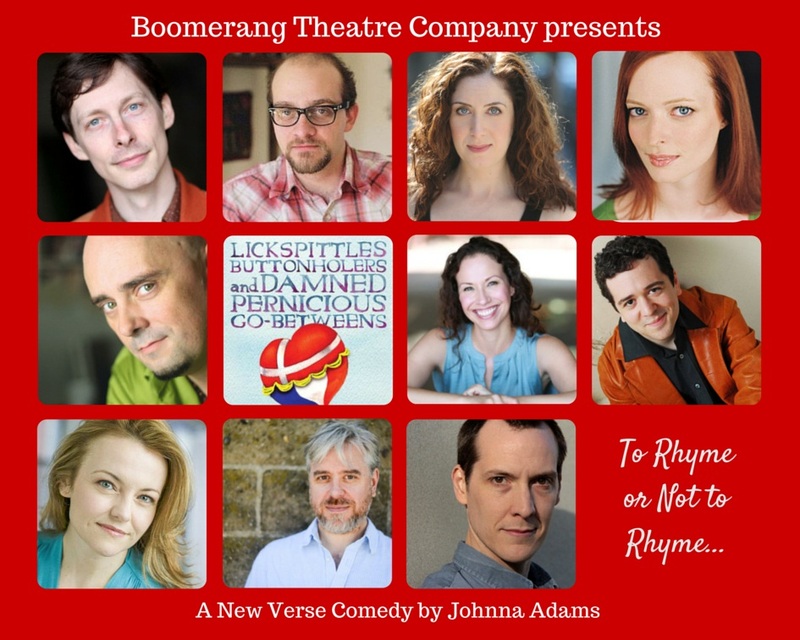 Nat Cassidy, Gavin Starr Kendall, Catherine McNelis, Kelley Rae O’Donnell, Ridley Parson, Amy Lee Pearsall, Isaiah Tanenbaum, Kristen Vaughan, Sean Williams and Aaron Michael Zook! Along with the All Star team of director John Hurley, Stage Manager Sarah Lahue, Set Designer Sandy Yaklin, Costume Designers Holly Rihn and Meryl Pressman, Sound Designer Jacob Subotnick, Lighting Designer Morgan Zipf-Meister, Props Designer Judy Merrick and Fight Director Michael Lawrence Eisenstein. 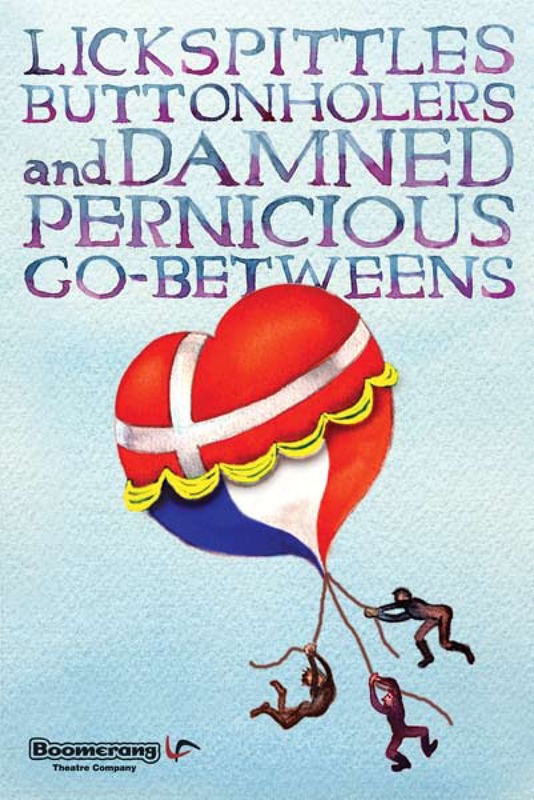 Tickets on sale for LICKSPITTLES, BUTTONHOLERS AND DAMNED PERNICIOUS GO-BETWEENS! We’ve only got 900 tickets to sell for Johnna Adams’ hysterical LICKSPITTLES, BUTTONHOLERS AND DAMNED PERNICIOUS GO-BETWEENS. And we want to make sure you don’t miss out! Performances begin May 1st! For those inclined to buy early, the first 50 tickets sold using discount code BOOM2015 are available for just $15. Get them while you can!